I’m convinced you post these pictures just to convince me I need to visit your continent. You’re so brave! This place looks so beautiful… good luck! Yikes that is high. Almost every time we’ve tried more than one pitch… @#$% happened. Good on you. Woooowwwww! Had chills looking at that picture of you climbing out Boar’s Head. I’m not afraid of heights but I don’t think I’d be able to stomach that…Hehe! And it makes me wanna blog the most dangerous situation I’ve been so far…still thinking what it is though. Haha! Wow. Just….wow. 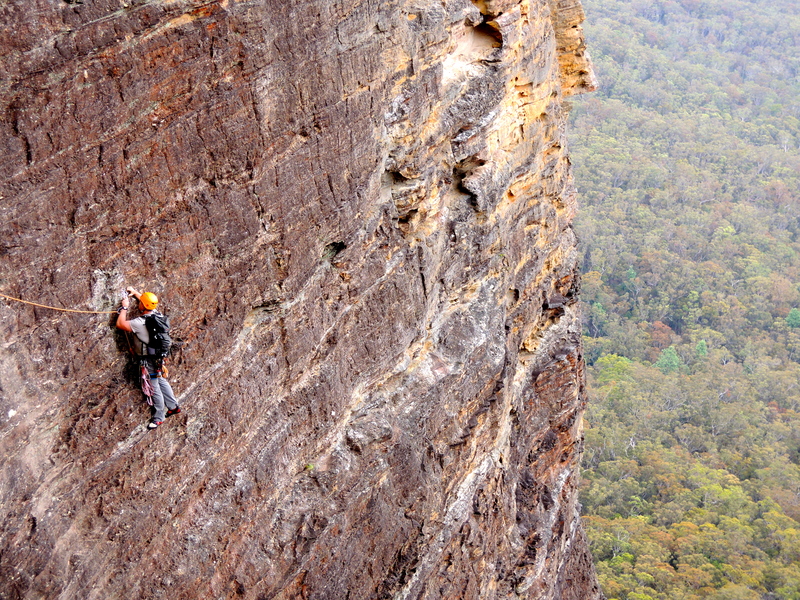 Every time I see photos of your adventures, my heart leaps wanting to be out on those ledges. Beautiful and amazing, as usual. I feel sick just imagining how that must feel looking down. I don’t know how you do it!